Mr. Simo is an artist who turns vintage suitcases into BoomCases a.k.a. the sickest boom boxes we've ever seen. A self-proclaimed audio nut, Simo says each boom box comes with incredible sound because he shies away from thin or plastic cases that have poor acoustics, opting instead for superior-sounding wood or leather. 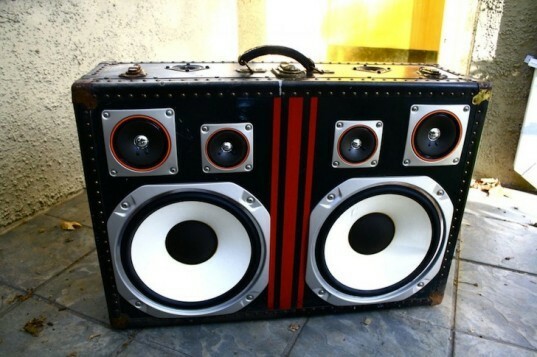 And because they're custom designed, no two BoomCases look alike, so there's no chance that your arch enemy will show up at the neighborhood party with a boom box like yours! 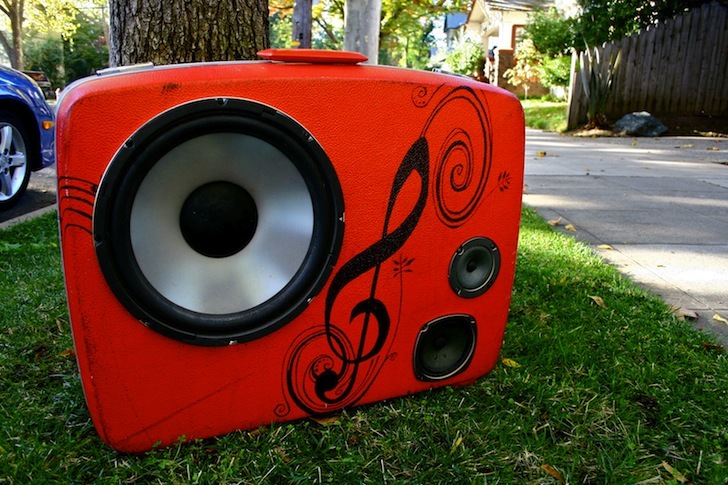 The BoomCase is a portable, self-powered boom box that lasts up to 9 hours on a single charge. They are compatible with iPods, iPhones, and any other device that has a headphone plug. Adapted from vintage suitcases that have outlived their former purpose, the boxes are custom designed and come with all kinds of cool extras. For a lighter BoomCase, Mr. Simo recommends getting a plug-in only version, otherwise the cases can be equipped with batteries and even extra batteries if necessary. They can come with an iPod or USB charger, custom paint jobs, and even better, with solar chargers! They’re for sale, starting at $375. No two are alike and there are loads more on the website!